Yes I saw that but it only does redirect to page one…. There is no page2.. page3 I need ruffly 15 redirect for 15 answers. If you want to redirect to different pages, depending on the way to form is filled, you may create a condition to change the THANK YOU URL. I think I am not understanding correctly what you are looking for. Could you elaborate a bit more on what you are looking for? 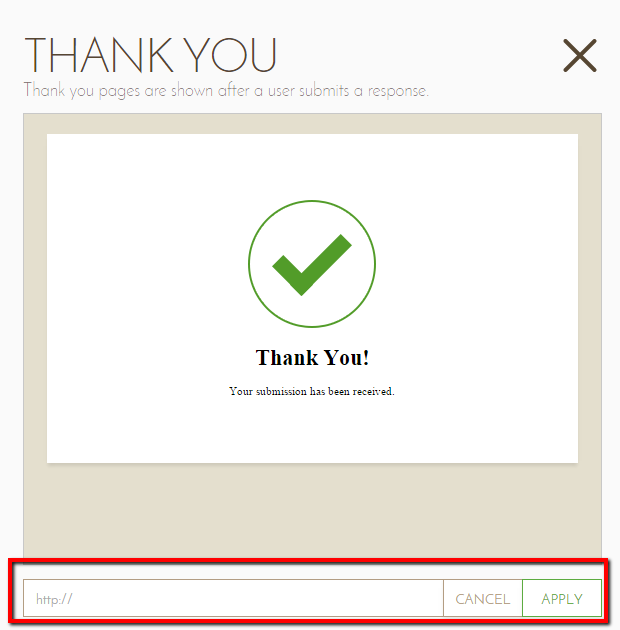 Do you want to redirect your users to different pages when they submit the form? 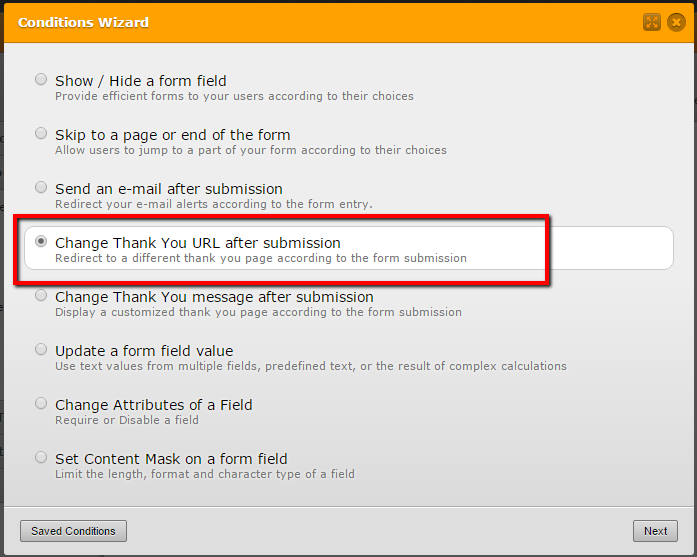 Or are you looking to skip pages in your form? We will await for you clarification. Lastly if you choice Rio de Janeiro, it will jump to the last page and will go to MSN page when you submit the form. UJRL redirection not next page as in multiple form. Sorry for not understanding correctly what you are looking for. I have modified the previous form I shared with you. I have added an extra field asking if user is a client or not. I have also added the following conditions. Depending on the selections it will take the user to different web page. 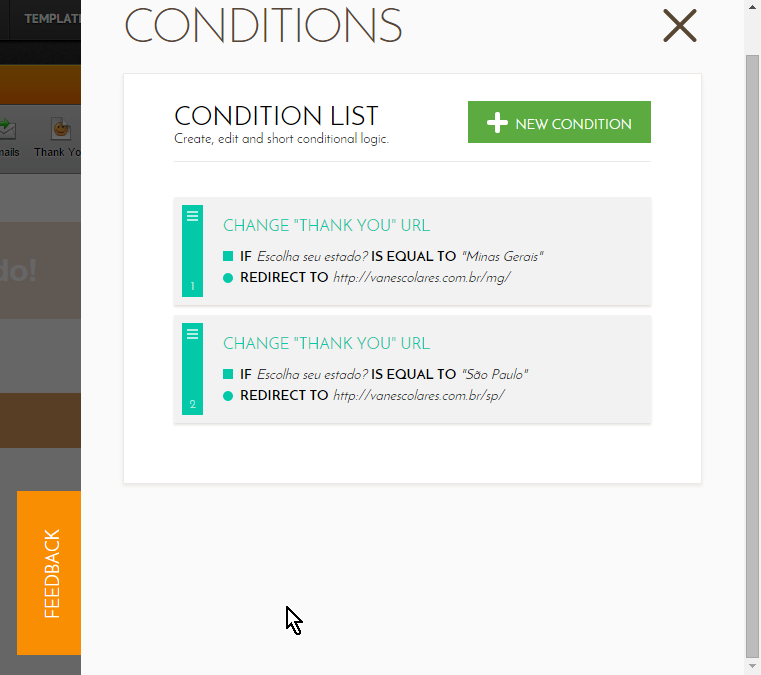 You can also modify the condition adding the state the user is in. If I am still understanding what you are looking for, please clarify you issue with a more detail so we better assist you. OK now it's correct, how do I import this so I can see how it's done? That it!! How can I copy the form code so I can see how it was done? I checked the form titled "Bem Vindo!" in your account, I see you already have the conditions setup on how to redirect to another URL after submission. 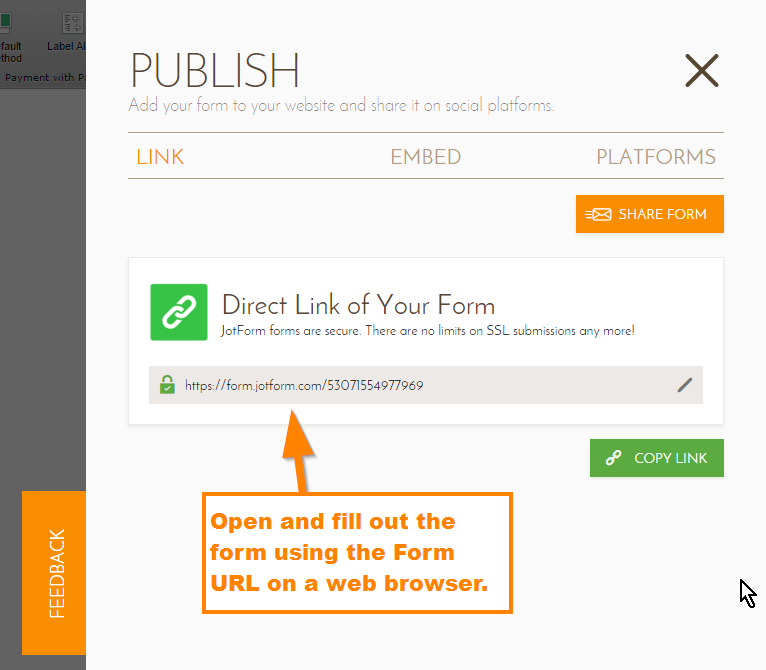 Here you can get the Form URL or the direct link, view it on a web browser and see how the form works. 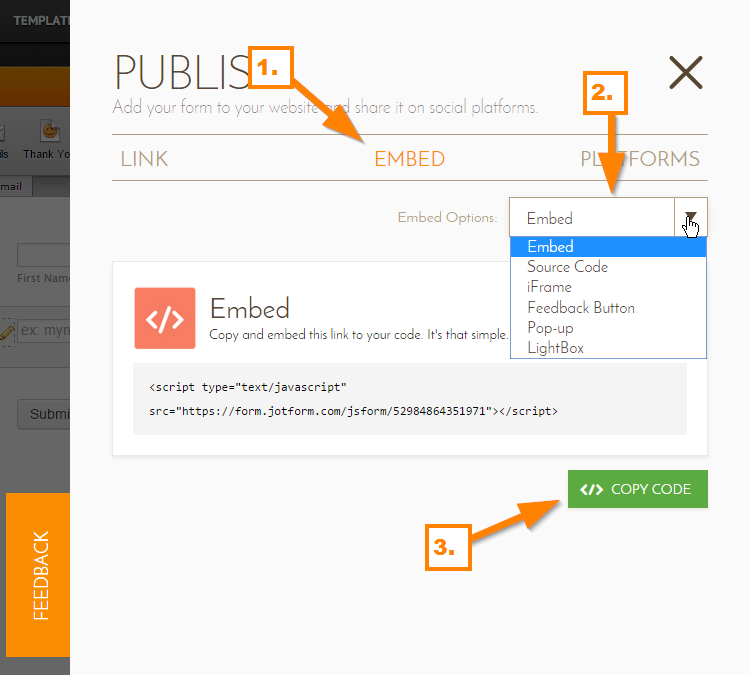 You can also get the form's embed code and add it on your web page.